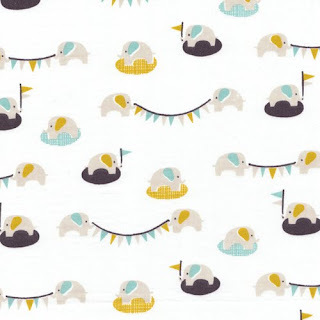 i think the elephants and bunting are so cute. i decided to decorate the whole nursery out of these colors, which has been a little hard, but i think it will be worth it. i'm painting frames, crocheting a blanket for the rocker, and possibly refinishing a toy chest. i'm going with an aqua color for the walls called "refreshing pool" which is fitting for our hot third floor in the summer. i'll try to post photos of our painting progress... stay tuned!